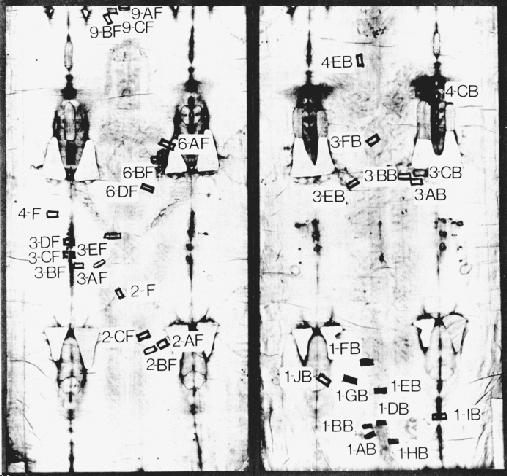 The Shroud of Turin showing locations of McCrone’s sticky tape samples. From McCrone, Walter C. “The Scanning Electron Microscopy (SEM) supplemented by the Polarized Light Microscope (PLM), and Vice Versa,” Scanning Microscopy, 7(1): 1 – 4, Fig. 3. 1993.